Sell more using OSI Affiliate Software. OSI Affiliate Software allows you to easily create and manage an affiliate program for your business. It is very easy to integrate and very user friendly. You will get more traffic, customers, and conversions by creating an affiliate or referral program for your business. Additionally, OSI Affiliate Software makes it easy for you to reward your affiliates. You decide how to reward your affiliates for all the work they do for you. Get more sales, get more customers, and grow your business using OSI Affiliate Software. Try for Free now. Datafeedr is a system which enables you to create & embed an affiliate store into your WordPress blog WITHOUT touching any clunky datafeed files, learning a programming language or hiring expensive programmers. This would have to be the easiest way to directly display products from an affiliate programs datafeed. All the major affiliate networks are supported. Try it risk free today. They also have a great 2 tier affiliate program to join. Set up and manage your website's own affiliate program with Post Affiliate Pro affiliate tracking software. Our fully automated, flexible system allows you to attract, motivate and reward affiliates who grow your business. The software is easy to use and offers an unparalleled array of features. Join one of the highest paying international affiliate programs in the industry and promote Post Affiliate Pro. We pay 30% to 50% per sale with a 5% second tier. Join here. Being a LiveChat Partner means a possibility to promote well know and highly rated software. Our SaaS is based on subscriptions and average lifetime of the license is over 2,5 years. Every LiveChat affiliate receive 20% recurring commission for the lifetime of the customer! 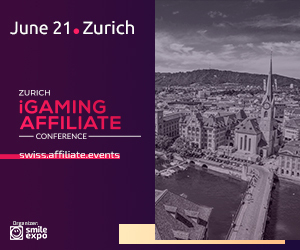 As partner you also have access to special discounts and promotional materials and ongoing support of affiliate specialists. Join here. BeRush is the affiliate program of SEMrush - professional software for search and marketing professionals. Our Affiliate Program offers a range of valuable benefits that makes it a standalone in the digital marketing arena. 1.Use our promo materials on your website, blog and in emails or newsletters, and earn as much as you want just by spreading the word to get people referred. 2.Receive hefty cash for little effort (place one of the banners we provide on your website or blog and count the profit). 3.Get 40% commission for each monthly payment over the lifetime of your referred user's subscriptions! 4.Get complete and convenient statistics of your online data. 5.We pay commissions through many different channels. Experience the user-friendly interface that prompts for signup to get referral links, and start earning free money by spreading the word in your social circles! Join BeRush Affiliate Program, and help others while helping yourself! This software is dedicated for affiliate marketers. It helps to detect dead tracking links and to track to direct advertisers. Affiliate program pays big commissions with proven results. Our Affiliate Program is offering 60% commission per sale and 20% in lifetime recurring, with 5% from sub-affiliates. Grampapa present package pricing range between $6.99 to $26.99 on a monthly plan which counts as $75 -$260 on annual accounts. TimeSolv offers robust time and billing software for law firms and professionals. Join the significant affiliate program and earn $50 for every qualified lead. PMCLOUD is one of the highest converting and highest paying Affiliates Programs in Clickbank! Highest Converting Because we have a dedicated online marketing team involved in continually testing site changes and converion rate. Highest Paying Because PMCLOUD pays you 60% commission for every first payment of your sell and 30% commission for recurring payment. PMCLOUD cost $299 / month. Our refund percent has never exceeded 3%! Compare that to any other competing site. We only use ClickBank, so you are assured of getting your commissions! You get credit for the sale for 90 days after your referral! Our customers love us. They write us thank you emails everyday! You can feel good about the product you are promoting and the money you make ! LiveAgent Live chat software and helpdesk. Fully equipped helpdesk and live chat software. Get a competitive advantage with top-notch customer service. MageWorx is one of the top developers of up-to-date Magento extensions. The company produce a wide range of advanced modules that drive benefits for Magento store owners and visitors. MageWorx Affiliate Program is profitable, easy to join and doesn�t require any knowledge of the internet marketing know-hows. You�ll earn income (up to 50% per sale) for every customer who purchases MageWorx products through your affiliate links. Now You Can Have Your Own Product, Instantly Branded With Your Own Name, and Instantly Uploaded To Your Own Website For Sale... With A Few Clicks! This Is Unlike Anything You've Ever Seen. Cut Down Your Product Creation Time To A Few Minutes! Traffic Travis provides a huge complement of SEO research and page analysis tools, as well as a powerful host of PPC research and monitoring tools. Regardless of whether you're building a website for search engine optimization or pay-per-click, Traffic Travis is an indispensable research tool: tracking your own site's performance, and peeking under the hood of your competitors' sites as well. 50% sales commission on EXCEL ADD-IN SOFTWARE FOR ACCOUNTANTS AND FINANCE. 30 day cookie. Monthly payouts. Join here. TimeCamp is a time tracking software famous worldwide. That's why we offer you selling it with us! Earn 20% commission on each sale and make up to 540$ per month. The minimum payout is $50. Join here. Software for networks and pc utilities. Syvir Technologies is a leading provider of network monitoring, pc utilities software. Users can download free limited versions of our titles. Syvir affiliate program pays commission of 50% sale amount (not including tax or shipping). We can support you with banner ads that you place on your site. Joining our Affiliate program is easy. Become a Netkiosk affiliate and earn 40% per sale. Promote Netkiosk on your website(s), or blogs or anywhere else. Get paid weekly. Easily generate your own affiliate links via your affiliate dashboard Monitor your commission and clicks. Freshworks Affiliate program is an opportunity for you to make money by promoting business software including Freshdesk - A customer support tool, Freshservice - A service desk software, Freshsales - A CRM and more. Become an Affiliate and get �20 from every new paid subscription. Weekly payout (No minimum payment requirements). Recommend PayTraq and you get �20 commission from each payment we receive for any new subscription through your affiliated promotions. You can refer absolutely anyone. We encourage you to share your affiliate link as much as you like. GrooveUI provides software solutions for SaaS software and website developers. Our partner program provides opportunity to earn life time recurring income. We provide handsome commission of 25% for each paying customer. Full affiliate program with tracking at our website. Earn unto $195 per sale. All pricing channels are based on 15% commission. We offer a 7day trial, on day 8 sale is converted to cash. CEMS-Online is a subscription and web based software system used to manage heavy equipment. There are three modules offered. 1. CEMS - Rental, ideal for small to large heavy equipment rental companies. 2. CEMS - Contractor, this module targets construction contractors that own a small to large heavy equipment fleet. 3. CEMS - Service, primarily for heavy equipment independent service companies. Which ever module is sold, all equipment loaded into the system has graphic indicators of when service is due alerting the equipment manager. Each system also tracks owning and operating costs. Please feel free to contact me with any questions. Our affiliate program runs through omnisoft affiliate program software. Easy sign up and great tracking. Join here. update email Secure Hunter is the best free ANTI-MALWARE alternative with lots of monthly installs worldwide. As such, Affiliates see the best value for their traffic. Affiliate benefits 30% commission Ongoing support to ensure profitability Assigned account representative Tips on web page setup and design Notification of upcoming promotions Performance-based incentives. Our affiliate program is handled by ShareIt, the world leading service in software affiliate programs and online software distribution. If you're a technology professional looking for an online backup service for your clients - look no further. You've found your solution! Join the growing team of technology pros nationwide who protect their client�s most critical information using BackupAddict one of the most trusted names in managed online backup service for business. As a BackupAddict Pro-Partner, you simply sign your client and we'll take it from there. Once they elect to pay for production service, you'll begin receiving ongoing commission checks. It's really that simple! Sign up today for the BackupAddict Pro-Partner Program. Benefits Include. Offer as add-on service or bundle into your existing monthly client fee. BackupAddict service includes superior online backup technology combined with ongoing expert assistance with the setup,monitoring,alarming,restoring and testing of a client's online backup solution (S.M.A.R.T.) Our support staff acts as a logical extension of your own team, enabling you to deliver clients superior online backup protection without ongoing investments in technology, staff or training. Make BackupAddict a key part of your client�s business continuity plan! Earn $40 or $14 by joining the EmailMerge.cc affiliate program. EmailMerge.cc lets you generate customized Outlook email messages from a text template and data in a Microsoft Excel spreadsheet with multiple recipients in the To, CC and BCC fields. Earn 50% of the amount spent by customers you refer. You will get a personalized discount code that gives your audience 20% off the full retail price. You'll get paid monthly or as soon as we owe you $50, whichever comes first. You make: - $40 for the Enterprise version (full price $99,99, customer gets it for $79,99) - $14 for the Pro version (full price $34,99, customer gets it for $27,99) Join us. With more than 100 awards and 200 million downloads worldwide, IObit is a world's leading software manufacturer focus on PC & Mac optimization and security since 2004. Our products are increasingly preferred by businesses and home-users worldwide for ease of use, reliability and superior performance. Mailbird is the best email client for Windows. 45% of our visitors become new users. Up to 12% of the new users pay for Mailbird. Get unlimited recurring revenues thanks for our subscription business model. Tracker Type Online Sale Payout 25% Referral Period 45 days Payout Scheduling 1 months and 1 days after the end of the month Campaign Creatives Online Tracking Link Text Link Banner Sponsored Text and more! New online media monitoring software made by a team of hackers using the latest tools. Become an affiliate and earn up to 40% of the revenue. Limited seats available. SalesHandy is a SaaS based product with features like Unlimited Free Email Tracking and Scheduling, Document Tracking, Mail Merge and Auto Follow Up. Our Affiliates will get 30% recurring commission, Monthly Payment, Commission Tracking and 180 days cookie duration. We also provide resources to our affiliates that can help them in getting more leads for us. And it's a pay per sales program! WebFire 2.0 is the latest version of the most powerful suite of traffic getting software ever created. Since the first release in December, 2011, members have used WebFire to get higher website rankings, and free traffic, leads, customers, and sales for their Internet businesses. The've now invested over $200,000 in software development alone, and added 5 more tools so members now get 27 different software resources. Every tool has an individual tutorial and provide additional step-by-step training. Each month, they deliver live member webinars with additional cutting edge information. It should be selling WebFire for $2k/year, but the've opened the doors to the mass market so that anyone can take advantage of this powerful system. You can join WebFire using this special discount link for as little as $49/month. As an affiliate, you can earn a straight payment of $100 per new member referred. You can join the affiliate program here. This software will enable you to find out which web sites would be interested in marketing your themed site so you can contact them to see if they'd be interested in joining the program. It will increase your link popularity and give you a steady stream of free traffic to your site. Affiliate program pays 35% commission. Join the growing team of technology pros nationwide who protect their clients most critical information using EvoWire. As a EvoWire Partner, you simply sign your client up for a 30-day free trial and we will take it from there. Once they elect to pay for production service, you will begin receiving ongoing commission checks after 30 days. It's really that simple. EvoWire service includes superior online backup technology combined with ongoing expert assistance with the Setup, Monitoring, Alarming, Restoring, and Testing (S.M.A.R.T) Our support staff acts as a logical extension of your own team, enabling you to deliver your client superior online backup protection without ongoing investments in technology, staff or training. Make EvoWire a key part of your clients business continuity plan. Join Here. Promote leading web-based business software. FREE to join affiliate program. 25%+ commissions. No earnings cap. Partner portal includes 24/7 tracking, full support, and designed marketing materials. Tapfiliate is cloud-based affiliate tracking software. It enables merchants to create, track and optimize their own affiliate programs. The product is for everyone who wishing to start their own affiliate program. We cater mostly to webshop owners. Inveostore.com sells e-commerce add-ons for PrestaShop, OpenCart, Zen Cart, osCommerce, CRE Loaded and CubeCart. Our affiliate Program is free to join, easy to sign-up and requires no technical knowledge. It pays 17% per each order from customer you deliver (~�15 EUR/~$20 USD per average order). The users activity is tracked for 60 days. Real-Time Statistics and Reporting available. Interspire develops a suite of web-based applications including e-commerce, email marketing, knowledge management & content management software. Our quality products and top-of-the-line support means higher conversion and low reversal rates. We're dedicated to our affiliates and will insure you have all the tools to make more money promoting Interspire software, including a direct line of contact to your affiliate manager. You can read the top 10 reasons to join our program on our website. iDevAffiliate - Now you can manage your own affiliate program from your own server for under 100 bucks! iDevAffiliate works with nearly all merchant accounts, shopping carts and membership management software. It's packed with features such as unlimited (percentage) payout levels, recurring sales, order tracking, product grouping, tier level affiliates, complete accounting and statistics, a fully featured admin center and tons of other features. Their 2 tier affiliate program converts well. Get $10 just for signing up. Join Here! ERASS is a powerful affiliate management software solution for the online retail industry and is available in three platform variants for affiliate marketing business operators, white-label solutions suppliers and multi-brand networks. Network Media Services provides the worlds most comprehensive and trusted affiliate management software. With specialist solutions for Gaming, Forex, Retail and Multi-Level Marketing, NMS offers a turnkey solution to both startup and established companies. Affiliates can promote any of our brands and receive upto 10% rev-share commission, not just on set-up fees when a client signs, but on the monthly license fees thereafter. First class support, first class software, first class program. 50% payout on a $47 USD product. This guide shows customers how to setup a proxy server to use with most link building, keyword research, competitor analysis or other SEO software. This gives them access to dirt cheap IPs, something all SEO software needs to be highly effective. Join at Paydotcom. Home Budgeting Software. The easiest way to manage your budget online. Affiliate Commission Percentage: 75% of the first month, plus 10% recurring every month after for as long as they remain a member. 2nd tier (your referrals) 10% recurring. The commission from the first payment will be made after the 30 day refund policy time has elapsed. It's entirely free to sign up, check your email once you submit the form for your login credentials. Please note that you'll want to use Internet Explorer because Chrome seems to have problems with the affiliate application. Join here. The Ubooq Partner Program gives you a great way to generate revenue by referring clients to us. You will receive 20% Lifetime Revenue Share for each client you refer. Ubooq offers a modern way to book appointments online and frees both small businesses and their clients from all the appointment scheduling hassles. WiseCare365 has free and pro versions, other products such as WiseDiskCleaner, WiseProgramUninstaller, WiseFolderHider, WiseAutoShutdown, WiseDataRecovery, WiseMemoryOptimizer, and new program WisePC1stAid. Join in the affiliate program and get start to earn 70% commission on sales. We provide a cost-effective solution for you to receive commissions in a fast and safe way. Monetize your website now by joining our affiliate program. Premium Joomla templates are good value and easy to use. Affiliates earn 35%-50% commission on sales. Get paid monthly, the minimum balance is $50. Professional support with many useful resources for affiliates. Join here. We have developed a powerful video training series for engineering design professionals, by engineering professionals. It teaches CAD far quicker than other products on the market by integrating features that need to be taught into REAL projects and creating a PRACTICAL application. We offer a generous 50% commission. Earn great commissions (up to 60%) for simply referring customers to SpeedSoftware.com. By selling our products, your website can quickly be turned into a profitable online business! Products include PCSpeed, a PC optimization and registry cleaning software, and DriverSpeed, a software utility that replaced missing or out-of-date hardware drivers for a more stable and computer system. ReviverSoft was founded to provide trusted software and resources to help users repair, optimize and maintain their computers for optimum performance. ReviverSoft's high quality, award-winning products include PC Reviver, Registry Reviver, Driver Reviver, MacReviver and Password Reviver. All products are available in over 5 major languages. The world's easiest to use Knowledge Base software. The software is priced at $99.95 and they offer affiliates 75% commissions. Softmedia is one of the first developers to start offering costumers turnkey solutions for penny auction sites, with high quality front end and back end customization offered by our penny auction software. We provide a dedicated program manager, overseeing that the program develops according with our affiliate needs. Email sending module, a variety of animated and static banners, text links and more. Need something special for your affiliate tactic? Drop us a note we're always open to offers. An in-house build program with maximum transparency, our tracking system is directly connected with our client CRM so our affiliates always have detailed stats on every visitor they send our way and the conversion process. We offer affiliates $300 per standard contract plus an additional fat bonuses for a support contract. Amigabit is dedicated to provide easy-to-use and highly reliable computer maintenance and tuning software for superior PC performance. We have an ambition to protect users from PC problems, while helping them to keep PCs running smoothly and error-free, secure. Amigabit now offers up to 80% commission for every referred sale. Dedicated affiliate support helps our affiliates in any possible ways to achieve the most profits. Join us today! Resellers of EICSOFT earn 33% commission on all referrals. If you refer a company that signs up to use our service, you receive 33% of the monthly fee paid by that company. Your targets are businesses or professional practices and individual entrepreneurs. You receive your commission as long as the company you referred remains an active customer of our service. Niche product with exceptional price. Approx. 50% of the Prestashop e-store owners use dropship wholesellers providing the product data in an XML feed. There are only a few competitors on the market, with prices at least triple. Euraffiliates is a new generation affiliate software program to provide advanced and personalized affiliate software solutions. This is the only affiliate software that comes with 3G affiliate management tools to cater to the needs of new breeds of affiliate management problems. The tools includes SEO safe innovative links (natural, deep, quick and affiliate defined links), global modules (for running multiple domains), friendly AJAX panel to save time and great user experiences, performance reports to make performance audit, in-house sales stats to track non-affiliate sales, affiliate mailing systems to send sales messages to affiliates in custom manner, support desk to help your affiliates, differential commission setting tool to make an special deal with a group or specific affiliate, application firewall for rock solid security and most of all affiliate widget to make your program special in your own way. No existing affiliate softwares are bundled with these 3G tools. We provide great earning opportunity for the serious affiliates. It is a 3 tier program with 60 days cookie and generous commission of 25%, 5%, 3% on sales for 1st, 2nd and 3rd tier respectively. 50% tier 1 commission for the sales excess of $1000 per month. Signup bonus $35. One can easily make $1000 per month just by referring a few hot clients. Genealone Expert is a professional, easy to use genealogy website builder and genealogy data editor script written in PHP and driven by MySQL. Main features: GEDCOM import, charts, mapping, timeline, several page layouts and color schemes... Get $6 (25%) commission from every sale of Genealone Expert you send our way. A business classifieds directory for your website. Operate your own free or paid inclusion "yellow page-like" business directory. Miracle blog automation software makes running a video-blog a piece of cake. Make video-blogging work for your blog with this great new software that automates every thing. 55% commission on every sale. We are a new program. Currently offering a 20% recurring residual commission on our GZM Web Project Management System. Apex Pacific is a world leader in internet marketing software(SEO Software and Google Adwords software), search engine optimization service and web promotion solutions to help grow your business on the internet. We provide award winning Pay Per Click Google Adwords management software, Search Engine Optimization (SEO) software, Email marketing tools as well as our trusted internet marketing service and training. Why work 10-15 times harder than you need to? Our software automates traffic and list building. It works. It's proven. Innovator and leading developer of access rights and copy protection solutions since 1998, ArtistScope provides software for securing various media with the option of total control over who can view it. Safe from all methods of copying including Printscreen and screen capture, in a controlled environment like an intranet one can have the most secure solution imaginable. The current commission rate is 10% of all software sales and paid monthly. 20% per subscription / lifetime - earn up to $70.00 per sale with the ProActive eCommerce Client Featuring real-time interaction and analytics possibilities, the ProActive eCommerce Client allows you to create deeper customer connections to optimize your online marketing, sales and customer support experience. Join revenuecashcow.com and earn up to 75% commissions promoting our ebook and software products. You can promote via your Clickbank account or easily signup for an account with Multibill, an alternate affiliate network payment processor. It's Jeff Johnson's newest free SEO software that you can use to grab more free traffic from the search engines. Version 2.0 was just released and it is easier to use, and more powerful than ever. All you have to do it plug it into your blog and his software does all the rest. Affiliate software that increases your SEO ranking. No more Affiliate IDs or complicated linking. TruLink tracks everything from your affiliates registered url. It also improves your SEO ranking! Advanced GUI with reports, affiliate management and graphs. The Program Manager gets alerted daily in case an affiliate's traffic drops under the preset threshold. Never lose an affiliate again, always stay on top of them with ClickInc Alerts. Affiliate program pays $50 mper sale. We'd like to offer you the opportunity to partner with us in promoting our state of the art software as a service (SaaS) inventory and order management solution aimed at small and medium businesses all over the world. Join our program and earn 20% on each successful monthly purchase of our solution by your referrers. We're looking forward to joining forces! Our service covers the inventory & order management, light manufacturing, reporting & CRM needs of a small or medium companies. Since it's a fully web-based solution, multiple users and locations are supported as well as strong localization capabilities. We are looking for affiliates such as accountants, developers, software houses or business consultants to spread the word about Megaventory by suggesting it to their own customer base or by attracting entirely new qualified leads. We have a single product: a subscription to our service. Subscriptions are either monthly, six-monthly or yearly ones. There is a free 15 day trial period and no credit card is required to start a trial. Grab expired domain names ahead of the crowd, with this exciting tool! Sign up is free,easy and fast. Create your own Web robot in .NET - Exciting new WebZinc .NET component does all the hard work, so you don't have to. Grab data, search the Web, fill out forms, all in just a few lines of code! Imagine doing anything you can manually in Internet Explorer, with just a few lines of code. You can. What do Merrill Lynch, Network Solutions and British Telecom have in common? They're all powered by one key Internet component: WebZinc .NET. Click here to find out more. Grab any data anywhere on any site at any time, with WebZinc. Who Needs Web Services? Learn more about the ultimate replacement. It's been around longer and it's still better than Web Services. Affiliate program pays 35% on the sale price of $99. Earn $14 per sale paid immediately and directly to you by promoting high-value free Psychic Pops Software, a desktop application you can use to generate the little 'exit traffic salesmen'. As soon as they get a sense someone is about to abandon your site they jump into action, funnelling the traffic where you want it to go before its gone forever. It's time to take action. Invite your friends to download and be paid on time, every time. 30% Commission. Payouts from $10 and up. US Based Software Company developing products to help website owners and web developers. SQL Encoder is our product for hiding any or all of the information in a database with high grade encryption. Data is unreadable by unauthorized persons even if they copy your entire site. AJ Square Inc is a Global Leader in IT Services offering affiliate program for it's software products and services. AJ products are auction software, hyip software, help desk software, email marketing software, article directory software, classifieds software, shopping cart software, LMS software and MLM software. Affiliates can join AJ affiliate program with out any initial payment and can get pay per sale commission of 10%. Affiliate who are all interested in software affiliate program can take our program as a challenge and can drive sales oriented traffic.Affiliates will get commission for each sale that they referred. We will provide 10% of sale commission to affiliate and we have special tracking software to track the customer directed by you. BlazeVideo - A global multimedia solution provider, developed DTV Player, DVB Player, DVD Player, DVD Copy and Video Converters for iPod, iPad, iPhone, PSP, 3GP and more. Earn 50% on every sale! It's easy. Our team of pro-active experts will answer all your questions and help you start making money right away. We offer you the commissions which are among the highest on today's computing market. 100% guaranteed payouts! We use RegNow affiliate tracking system, so you will get your money if a customer downloads a product custom build directly from your website. Software that Rocks! Our products are among the best and highly rated software on today's market. They combine lots of innovative features, up-to-date technologies yet have attractive prices that really matters for an end-user! A simple and powerful search engine optimization software suite with more than 12 highly integrated tools that make the whole mind-numbing process feel like a walk in the park. No pointless website submissions or risky doorway page generation tools�just genuine and strictly useful SEO. The RankSense 2-tier affiliate program pays generous recurring commission on sales of the SEO software subscription. Free to join. Prompt payments. Immediate $50 bonus upon signup. Join here. Affiliate Program: 20% on first tier, 10% on second tier for each sale you refer. Minimum payout: $100. Commissions are lifetime. If your business involves selling or delivering any type of digital product (eBooks, videos, documents, PDF files, MP3's) I suggest you take a close look at Product Padlock... it could save you thousands over the course of the next year. Product Padlock gives you full control over who has access to your files. You can even prevent people who have already purchased your product and then asked for a refund from accessing the product again. Affiliate program has excellent conversion rates. Details here. MacShiny is an all-in-one Mac cleaner that removes apps, data, and gigabytes of unnecessary junk. It is the easiest way to speed up your Mac. Let your audience get the great features and bug fixes by downloading the latest version of MacShiny. We would like to invite you to join our MacShiny Affiliate Program and get the best commission rate on the market - 90% commission on each sale you generate?! We offer competitive revenue share rate and high conversion of your traffic on our website: Commission on MacShiny license sale - 90% Average cart value of MacShiny license - $124.61 Average commission for MacShiny license - $105.65 EPC - $165.13 We will provide you with banners, landing pages, text links and everything that you will need to promote MacShiny. We are always ready to create custom creatives for you on request. Also we are open to discuss private rates for each partner. Sign up to the MacShiny Affiliate Program to learn more about the offer today and start working with us! Our affiliate managers are always here to help you. No Secret- Its The One Tool Every Affiliate Needs! And its making affiliates who use it or promote it millions!! 'Instant Magic Link Masker' has just been released on the clickbank marketplace. Needs no complicated coding, simple to install. Stop commission theft! Increased click through rates and profits up over 300%! Real Hot opportunity for Affiliates to earn 60% commission on this high converting software. Earn 60% on all sales. Get paid regular via clickbank. Stats available 24/7. Since 1998 we develop and sell web development products: DHTML menu creators, site map creators, search engines for offline use (e.g. CDROMs) as well as for websites. We also sell email management, auto-responder and email marketing tools. We pay our affiliates 25% of the sales on all products. The minimum payout is $50.00. The affiliate center gives complete real-time info about referrals and sales. We double-track your leads with cookies and IP addresses to make sure no leads are skipped. Ready for the ultimate domain power tool? Domain Research Tool was built to find domains with type-in visitors, search engine traffic, backlinks, PageRank, Alexa� rank, whois details and more. It can also auto-appraise domains using user specified formulas, send bulk automated offer e-mails, track your current auctions, monitor important domains, filter incredibly large domain lists and zone files and much, much more. All with full multiple proxy support. D.R.T. was developed by domain professionals, for domain professionals. Try it free today and see how D.R.T. can simplify and automate your life. 2 tier affiliate program paying 25 to 50% plus 5% 2nd tier. Provide Support has a generous affiliate program that doesn't end with the first payment. As an affiliate, you receive 30 percent of the first subscription payment of all accounts created through your referral. Afterward, you receive 30 percent of all subsequent subscription payments by those customers. We will send checks with your monthly percentages to you by mail, or we can transfer funds to your account, whichever is more convenient for you. Other money transfer options are also available. Data Rescue PC3, the most powerful recovery software available. Prosoft Engineering, Inc. is a software company based in Northern California, focused on data recovery software and other utilities which help protect and manage your important data. Make a minimum of 20% commission for every sale you refer. Up to 40% commission on our Windows recovery and backup product line. Bonuses for top performers. Our average order is $100. Frequent promotions, bundles and discount codes offered. Regularly updated creative. Our market is worldwide and all software can be downloaded electronically (shipping not required). We have an easy to use and very informative website and shopping cart. The UpClick Affiliate Network provides you, the affiliate, with an extensive selection of downloadable product offers (software, e-books and online membership), guaranteed to fit your area of expertise. And with UpClick you get paid on the entire value of the cart (up to 85% commission), so if the customer picks up extra items during checkout, you will get paid! Commission is 50%. Price is currently $87 and climbing. The desktop software automates the posting of articles (especially PLR content) to a Wordpress blog, including tagging, emphasizing, linking, scheduling, and shuffling them. Join one of the highest paying affiliate programs in the industry and make 40% commission from every sale referred by you to us! Help others by promoting our software, and help yourself by earning money quick and easy! Join our affiliate program Free today! RealProspect is a prospect management and direct mail automation software for creative real estate investors. Affiliates earn $75 - $120 per sale, and are getting from 6% - 14% conversion rates. This software is highly valuable to real estate investors, and we get almost no returns. How would you like to be paid $.30 US for every new user that you refer to this site ? VSTORE's 100% FREE Ecommerce solution is just what many small business owners are looking for. It provides a risk-free way for them to easily create and manage their own online store. We have already paid out hundreds of dollars to our affiliates and the fact that this service is 100% FREE makes it much easier to convince people to sign up for it. Products include school textbooks, supplemental resource books, fiction books, software, science kits, math manipulatives, educational toys, hobby items and games. Application Systems North America (ASNA) is a professional publishing and distribution firm that specializes in bringing great Macintosh and PC products to the U.S. marketplace, Europe, (UK, France, Germany and Italy), and Australia. Founded by seasoned software executives, ASNA has all the experience, expertise, connections, and knowledge needed to give developers, and their products, the best chance for success in the marketplace. The Application Systems affiliate program is a great way to earn commissions on everything from ContaxCRM Suite to wireless and desktop microphones from MicFlex, Samson Audio, MacMice, VXI, to software like MacJournal, Paperless, MacGourmet Deluxe and more. Be sure to sign up for the Application Systems affiliate program and start earning today! ApplicationSystems.com affiliates earn 10% per sale, and are paid monthly by check when commissions reach $50 or more. ApplicationSystems.com offers a 30 day cookie duration, and is available in Commission Junction & ImpactRadius. Affordable affiliate software in PHP/MySQL for small and moddle sized e-commerce websites. Includes free installation wizard and PHP source code for your adjustments. Our flagship product, SEO Client Prospecting Robot, is the premiere SEO software for SEO and web marketing pros. Quickly and easily targets hundreds of leads desperately demanding to be sold SEO and web marketing services. We pay 50% commissions on direct affiliate referrals and 15% on 2nd tier referrals. The payout for J&R Computer/Music World is 4% on all goods. J&R Computer/Music World is 10 stores in one! This retail store carries audio, videos, cameras, home office supplies, music, software, appliances, games, and movies. Promote the J&R Computer/Music World affiliate program on your music or electronics website with results-driven advertising tools and top-performing marketing materials. The J&R Computer/Music World affiliate program uses a 30-day cookie. Warning! Dont even think about selling your ebook or software before reading the facts on this page. See the full story on how people ARE stealing your product. Lock your product in the Virtual Vault and get piracy protection. Affiliate proram pays 40% residual commission plus 10% 2nd tier. Have you ever dreamed about owning a piece of a big company? Too expensive? Not now!! How about ownership without paying a penny...ever? Too good to be true? No! Amazing and unique? Yes! Totally legal and fully disclosed? Yes! Join us and own a piece of the next big Internet company - completely free forever! You will even get a $10.00 sign up bonus, free downloads, and a contract assuring you of ownership . Totally free - now and forever! Be an affiliate for a software that is quickly becoming the most widely used list building software on the internet. We offer lots of individual training for our affiliates, and a very lucrative payment structure. We also provide our affiliates with a quick start guide' so you start making money quickly. Earn 40% per sale, 20% 2nd tier. Mortgage web site design and Mortgage software solution. Affiliate program pays 20% plus 2nd tier. Join here. VSO Software offers award winning DVD burning software & backup DVD copy software. By joining our affiliate program with Avangate, you can earn up to 75% commission by promoting ConvertXtoDVD, BlindWrite, CopyToDVD, PhotoDVD, PhotoOnWeb and VSO Image Resizer. Acebyte Utilities is a comprehensive computer maintenance and "boosting" tool that offers a collection of several tools to perform various tasks on your PC and helps keep your PC clean and free of errors, correction of errors on the hard drive, free of system crashes, clean junk files and much more, so it=A1=AFs quite easily to sell such an easy-to-use and high quality product! Acebyte Utilities now offers 75% commission for every referred sale. Dedicated affiliate support helps our affiliates in any possible ways to achieve the most profits. Join us today! Our two-tier Affiliate program pays commissions on our Internet scripts. Affiliates get $33 per sale and $5 for sale made by any affiliates refered to the network. We pay after two sales. Reciprocal link exchange management software that makes it easy to find and contact quality link partners, generate custom link pages that match your site, and keep track of reciprocal links. LinkMachine automatically updates your link pages the instant they're changed - no uploading required. Link exchanges increase a site's targeted traffic, search engine ranking, and sales. Receive a full 40% per sale of this highly rated software. This program is especially successful on sites targeted toward webmasters. PC Tattletale Parental Control & Internet Monitoring software is desperately In demand by Thousands of parents! Earn commissions of 50%! ($24.98 per sale!). Ready to use promotion tools and creatives. MailerLite is the simplest email marketing tool for small business. Forget complex settings and unnecessary features. MailerLite is so easy, that anyone can create and send beautiful email newsletters, manage subscribers and track results. Registry Repair Pro scans the Windows Registry for invalid or obsolete information. When you fix the information it will make your PC run faster and will eliminate many of the errors Windows may have. By using Registry Repair Pro regularly and fixing your registry, your computer will become more stable and help Windows and your software run faster. This is one of the top converting Registry Repair programs on the Internet. Affiliates will be paid 75% commission on each sale they make. We also provide a variety of professional creative to maximize your sales of Registry Repair Pro. The payout for Big Contacts is 16% on paid subscriptions, and a $1.50 flat fee on free trial subscriptions. Big Contacts offers a web-hosted Contact Management and Sales Force Automation service. Big Contacts was formed with a singular focus on developing leading edge technologies that are easy to use and provide meaningful solutions for small business. This affiliate program provides publishers with a 90-day cookie, and top-performing promotional materials designed to help increase your revenue. Finding ClickBank Products that sell and aren�t already being promoted by everyone and their dog is nearly impossible. This helpful tool allows you to immediately see which products are on the rise and underexposed, which are stagnant, which are over-saturated and which are a waste of your time. Features include a NEW PRODUCT list, Best Gains, Greatest Sales Momentum, and an Insider�s Guide. And they have a demo you can try. Totally Free. Check it out. If you have good relations with BUSINESS COMMUNITY & want to earn a handsome amount on every sale then you must join our affiliate program. Right now we have 2 products (see products page on our website). The Accountant is a comprehensive Accounting & Supply Chain software having advance features like multi level Chart of Account, Cost Centers, Products setup, Customized Financial Report, Regional Sales Segments, Sales Force etc. The Import Manager is a niche software product. If you have links with importers/import managers than this is a great earning opportunity for you. Try our program and you will never stop promoting us. ApproveCash is the affiliate marketing division of ApproveMail.com--THE premium webmail site on the Internet. We pay $10 per referred active member. Our sender-authentication system eliminates spam, and the site is also 100% FREE of advertising for our members--no banners, no popups--another great selling point for your surfers. Real- time stats, banner ads, helpful email support, monthly payouts, and more. MyReferer.com - Affiliate Tracking System! With MyReferer you will be able to offer your own affiliate program from your website and pay your affiliates for performance. Simply cut and paste a few lines of HTML code on your site to get your own affiliate program up and running. This is a very easy to use and set up. StudioLine software is the premier archival and management solution for digital imaging. You can earn excellent commission for recommending StudioLine on your web site and newsletters. Sign up for free and we'll start sharing revenues with you as much as 45% of every sale you generate. Large and small webmasters make big money promoting software and subscription sites. Pay per sale with net per sale guaranteed prices on average of 22.50$ USD. Cash-in on selling software from industry leader, Markzware. Earn up to 30% for sales in North and South America, Australia and New Zealand. Increase repeat traffic to your site. We provide up-to-date content and make it easy for you to sell! We develop award-winning quality control and conversion tools. Our target markets include: creators of PDF files, graphic artists, ad agencies, printers and publishers and those that use Adobe, Microsoft, Quark, Corel products. We offer high-quality, eye-catching content and links all world-wide markets. Get 30% Commission promoting the number one Affiliate Link Cloaker solution. AffiliateCloakerPRO is not just another Link Cloaking solution it also includes Extra Bonus features like Online Audio Recorder with hosting, Free Submitting of your affiliate links to Google and Yahoo, Free submitting of your affiliate product links to Froogle.com Google.com/Products, Affiliate Marketers Forum, Affiliate Product Database, Affiliate Link Statistics and many other features. A Must have for any Affiliate Marketer. State of the art software that will help you locate and recruit the best super affiliates in your industry. Your guaranteed and easiest way to instantly find every top-ranked web site in your industry and direct their traffic to you. Spy on your competitors and find THEIR best super affiliates. Pays 50% per sale plus 10% second tier. A large collection of PLR (Private label Rights) and MRR (Master Resale Rights) Product Packages. These are hot selling products, from which you can profit easily. Jopin for free to access the PLR products but I recommend taking the OTO (one time offer) for the full MRR package. Earn 50% commission per sale (appx. $32). Customizable, Full Featured Dating Software Complete With Free Installation, Lifetime Upgrades & Outstanding Support. Sign up now to receive your affiliate link and refer your visitors to AEwebworks. For every order of aeDating that is placed by your referral you will earn $100 (US dollars) instantly. That is for each sale and all you have to do is simply place our link on your web site. Follow up email autoresponder installed by the customer on their own site. No monthly fees, no advertising messages. Simple to install on almost any Unix host. Instant download after payment. Affiliate scheme pays out 75% of transaction via Clickbank. BitDefender 9 Professional Plus ensures the most advanced antivirus protection, as well as data confidentiality, active content control and Internet filtering. Earn 20% margin on the sale of BitDefender security solutions! Affiliates will enjoy additional bonuses depending on volume and only the best affiliate management. This program pays in USD, EUR, GBP, Cookies are sent 180 days to ensure affiliates receive proper credit. We'll pay you $21.57 USD for every sale you generate! We'll even start your account balance off with $10.00 USD just for signing up! We provide a premium Perl-based message board software product, aimed at businesses and "power-users". We pay �20 GBP (approx $35 USD) per sale. YourFreeWorld.com Scripts is an online scripts selling and installation service. We provide all kinds of Scripts ASP , PHP and Cgi/Perl script and Software also. We provide Script installations service also. We also provide Custom programming of Scripts and Softwares. Secure-eBook offers the technology needed to publish and protect eBooks. It provides authors and editors with one of the most efficient eBook protection system, and makes eBook publishing easy and accessible to anyone. Secure-eBook integrates Document Rights Management (DRM) and eBook security, and offers features addressing selling and publishing of eBooks. Join the Secure-eBook affiliate program now and earn up to 25% per sale plus. 20% per sale. Our product can help you to create, track and manage proposals online. Join the ArcSoft Affiliate program today and start earning a commission for every sale you generate from your website. Best of all; there is absolutely no charge to join the ArcSoft Affiliate Program. This is a great anti-spam service for individuals and enterprises. Unlike other anti-spam solutions, Spam Arrest quickly and easily blocks spam before it ever gets to your inbox � no matter how the spam is disguised or where it comes from. The affiliate program gives you a 50% commission on all paid signups, plus additional commissions on second and third tier indirect signups. In addition, for each affiliate that you refer, you get a bonus payment of 10% of whatever commissions they earn! I think it's one of the best paying, best structured programs out there. Join here. RedBox Organizer is a complete personal information manager that helps you keep track of day-to-day appointments, events, expenses, and to-do items. Keep a dynamic list of family, friends, and business contacts using the Address Book, and print your schedule and addresses using any of over 100 different calendar and address book layouts. Stay organized using RedBox Organizer! Our affiliate solution allows you to earn 30% for each sale. iPremier offers you the best services to protect your privacy at the best prices. A state-of-the-art system with an incredibly easy-to-use user interface. Affiliate program pays 20% plus 2nd tier of 10%. Avanquest has developed a wide range of products that consist from pc utility to protection software. Their affiliate program allows you to promote over a 100 software products, some of which are award-winners and best sellers. Not only do they offer generous commissions and bonuses, they also provide first class content with free data feeds. Check out what they have to offer and see for yourself. Promote & sell top software products on your website and get paid for it! Earn great commissions (up to 75%) by joining Avangate Affiliate Network. Lots of top selling software products to choose from, 120-day cookie life, one-on-one assistance from Avangate Affiliate Doctor. Over 10,000 registered affiliates are already making money with us! No setup fee, no start up cost, no hidden performance targets to reach. Join Avangate Affiliate Network today to start cashing in yourself! The ultimate software revolution for mental health. Untapped niche converting like crazy. Easy Helpdesk is here to assist you with your computers and peripherals. Our process is fast and friendly and you can be back cruising the information super highway problem free in no time. When you sign up with Easy Helpdesk, you get immediate, unlimited access 24 hours a day, 7 days a week. Easy Helpdesk support staff are well-trained and here to assist you. Easy Helpdesk pays affiliates 10% of all sales, 12.5% after 250 sales and after 500 sales 15%. Our affiliate program allows affiliates to check their number of Clicks, Sales and Commission Owed. At Easy Helpdesk we look to support and reward strong affiliates, as well as further encourage growth. J-Perk which will add special effects to your Web pages. Web Weaver! which will create great-looking Web pages. MS Word macros to automate the referencing of essays written in APA style. Affiliates earn 50% per sale. The base payout for Smith Micro Software is 16% per sale with some items returning 24% or 48%. Smith Micro Software publishes leading-edge graphic design and performance software for Macs and PCs. The Smith Micro Software affiliate program offers affiliates a 45- day cookie. The payout for TrackVia is $4.00 for every referred free trail sign-up and $196.00 for every trial that becomes a paying account. TrackVia's online database has revolutionized the way small businesses collect, organize, and share data. Businesses are able to get up and running in minutes with TrackVia's powerful yet easy-to-use database that includes features such as filtered reports, user permissions, relational fields, e-mail campaigns, and a web form builder, just to name a few. Promote the TrackVia affiliate program on your website with sales-driven marketing tools and material, and a 45-day cookie. The payout for Trend Micro is 20% of all sales. The Trend Micro affiliate program is a leading provider of anti-virus, Internet content security, and outbreak management software and services with high commissions and excellent product promotional tools. The Trend Mirco affiliate program offers publishers a 45-day cookie. We take care of everything, from credit card processing to email tech support. All you need to do is to use one of our 300+ website templates and wait for the money to start rolling in! We've got high-conversion sites with more added every month - find a product to suit anyone! Got something specific in mind? Let us know and we'll do our best to get you what you want - any product or site! JourneyEd.com provides discounted educational software. The payout for JourneyEd.com is 4% of all sales. JourneyEd.com is the leading provider of discounted educational software nationwide, allowing students and educators to save up to 85% on the most popular software available including Microsoft, Adobe, Macromedia, Autodesk, Corel, Symantec and many others. The JourneyEd.com affiliate program is an ideal fit if your website attracts students or educators, allowing you to provide a unique service to your visitors with a 45-day cookie that results in high conversion rates. The payout for Roxio is 8% of all sales. Roxio, a division of Sonic Solutions, offers award-winning digital media software for both PC and Macintosh including top selling products such as Easy Media Creator 10, Toast 9 Titanium, MyDVD 10 Premier, RecordNow 10 Music Lab Premier, Popcorn 3, CinePlayer Surround, and more. The Roxio affiliate program provides a 120-day cookie and frequent promotions and discount offers to help you drive conversions with unlimited action referral occurrences to further increase your sales. Xara offer the opportunity to earn commission on sales of our popular Web graphics software, Xara 3D, Xara Webster and Xara Webstyle. Users can download our 15-day demos and we pay 20% (after sales tax) commission on any sales that result within 30 days. We have full on-line reporting of the clicks, download and sales. We pay a commission of 5% of the sale amount (not including tax or shipping) for every sale that was directed to us through your link. Commission checks for the previous month's sales will be mailed on the 10th of each month as soon as your commission reaches a minimum payout of $10.00. You can check on your earnings at anytime by logging on to your affiliate account. FusionHQ is a multi tool platform that allows anyone (even a non-techie) to build professional, fully customizable sales funnels, membership sites and affiliate programs without a single line of code. No HTML, no PHP, not even FTP - it's all automated. If you're a non-techie, this is dream come true - so many people get stuck on the technical stuff so now there is no excuse not to get started on that new website you have been thinking about. QualityPoint affiliate program is for marketing our own software products. Such us Time sheet, SEO Tools, Twitter Applications,etc. Minimum payout is 10$. Default affiliate commission is 60%. Joining our Affiliate program is easy. It is free. Top Converting, Top Paying Software Affiliate Program! Vista compatible and ready. We are already converting on Vista OS like crazy! Click Here To Sign Up 100% Free! Join affiliate program at Boostaffiliates.